Hi All, Hope you all are doing good. 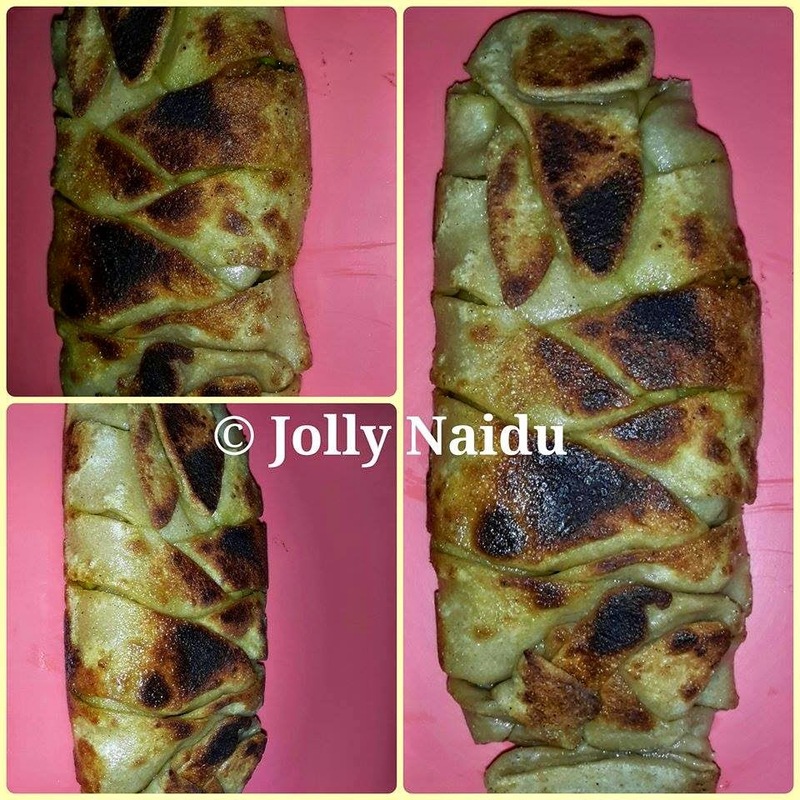 I am back with new twisted paratha / bread recipe. Today, I tried it first time only and the results were awesome. 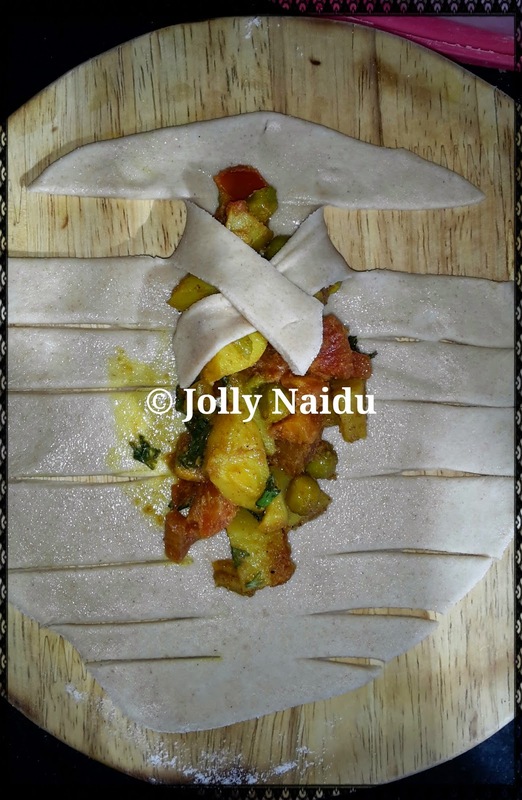 So couldn't stop my hands to share my recipe with you all. They were really easy to prepare except the factor of time. This weekend I’ll be sharing my very own version of the braided bread but . . . with a little “twist!” this is not the bake version, just shallow fry one.. Instead of pastry dough I simply use whole wheat-flour dough to make it much easier and healthy. Feel free to substitute any kind of vegetable you wish or mix it up with your favorite ingredients and spices. But when I make these, I just use cooked vegetable ingredient is available at that moment. 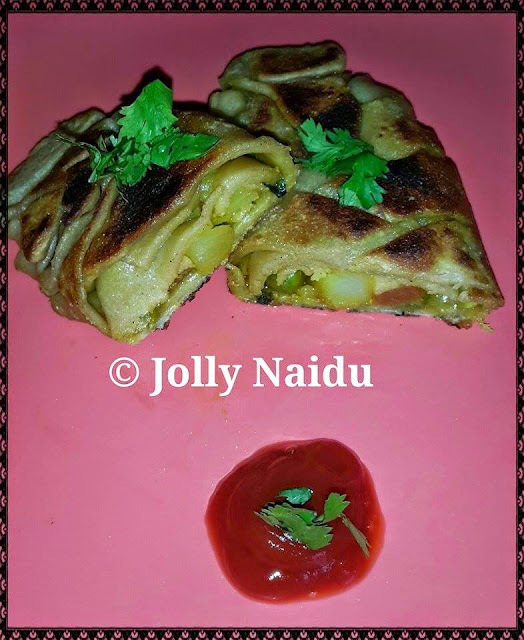 This recipe looks complicated and that’s what makes it awesome and your guests will think you went through all that trouble to prepare something amazingly good!! But it really is easy and simple. I took some photos while I was making these so hopefully you’ll have a visual idea of how this thing goes. 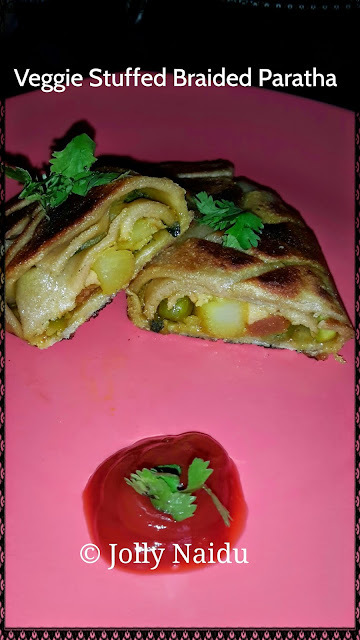 Without further delay, I present to you "Veggie Stuffed Braided Paratha". Enjoy your weekend with this braided bread. I am planning to prepare minced meat next time for the stuffing. 1. Take a ball and roll it in a kitchen surface into a oval shape. Use flour to help the rolling. Just spread little oil in it. 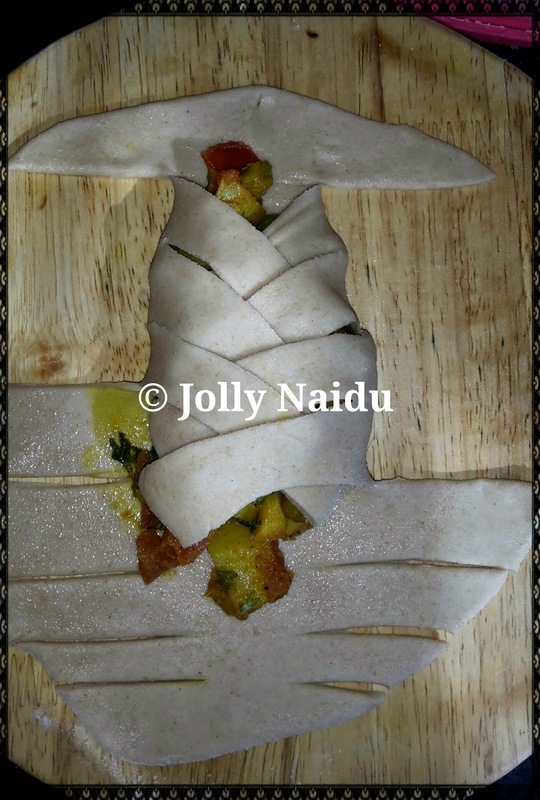 Place the cooked vegetable in the center of the oval shaped dough leaving space around it. 2. Using a sharp knife, make inclined cuts of about an inch wide as shown in the picture. Make sure there is an equal number of slices on each side and to make proper strips/fringed ribbons which helps for braiding. 3. Start braiding now. 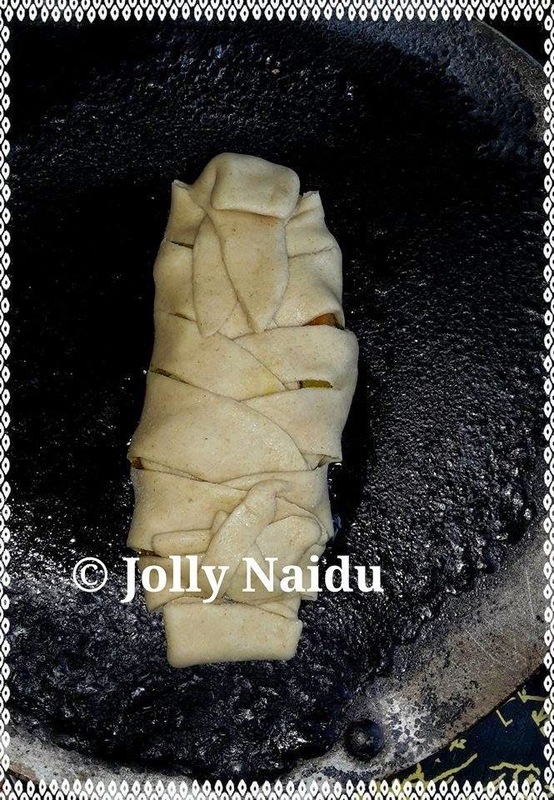 Fold the bottom and top of the dough towards filling and begin folding the strips over the filling, lapping them alternately as shown in the picture. 4. 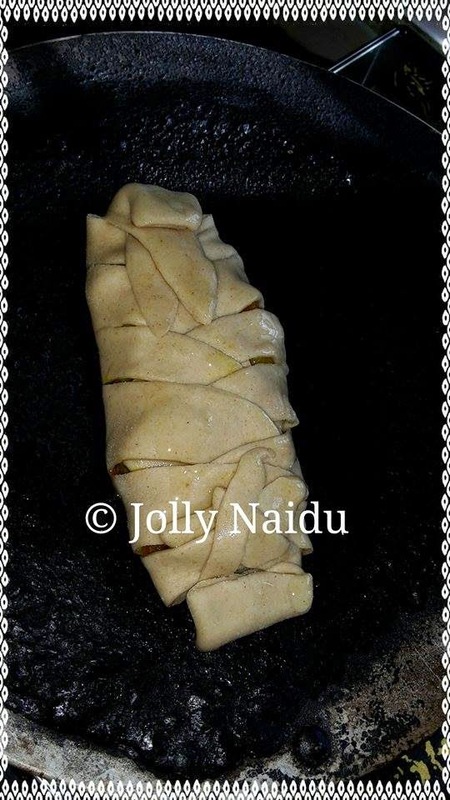 Preheat the tawa/ griddle with little bit oil/ butter, transfer the paratha into the preheated tawa. Shallow fry it in a low medium flame. 5. Brush the butter to paratha from top and turn it on other side and cook in a low medium flame. With the help of spatula in one hand fork in other hand, just cooked it with both the sides. 6. Your Veggie Stuffed Braided Paratha is ready. 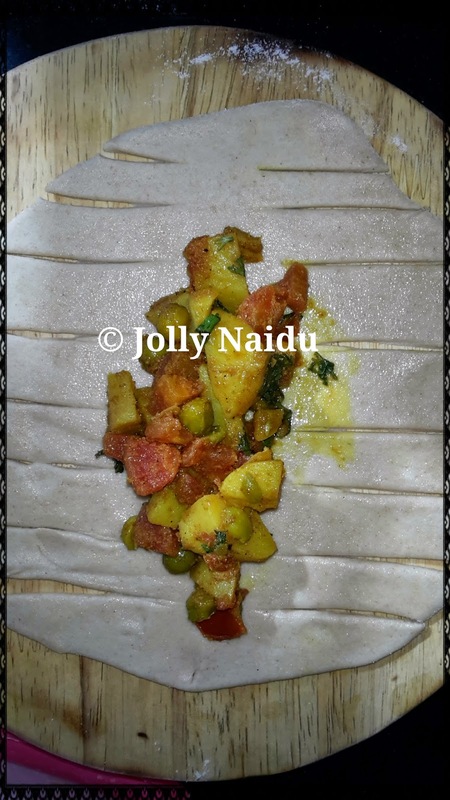 Slice into pieces and Serve hot with any dip, tomato ketchup or any chutney.